Listen to this – Google Cloud Platform (GCP) Podcast has launched! All good stuff and pack in a 25-30 minutes bundle you can consume easily on the way to the office. 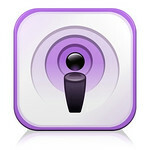 As to the actual topics and Podcast feeds, and Social Media channels, just head to the GCP podcast page. Got any other Cloud, Big Data, DevOps related podcast we should listen to? This new option to connect with and manage your GCP (Google Cloud Platform) resources from the command line, discards the need to install the Google SDK on your local machine. Instead you can hook to a Google Cloud persistent shell with all the tools you need, just from a browser you can launch from anywhere. And, its completelly free through 2015.. Cool, right?